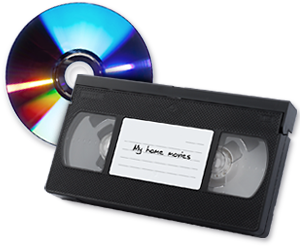 We can transfer your old home movies to DVD for easy entertainment at the next family gathering; duplicate your wedding videotapes for friends and relatives far away; or convert videotapes from Europe or Asia to North American standard allowing you to enjoy video sent from family and friends overseas! For more information on video transfers and turn around times please call us at 780-420-0404 or email us at video.transfers@mcbaincamera.com. Files saved to DVD (included in price) or USB memory stick (add $10). You may alternatively provide your own USB. Please allow 1-2 weeks for delivery.